Description: This maroon two p[iece full top box contains 15 rounda of blank ammo with purple (fading blue) topwards and raised "P" headstamp. 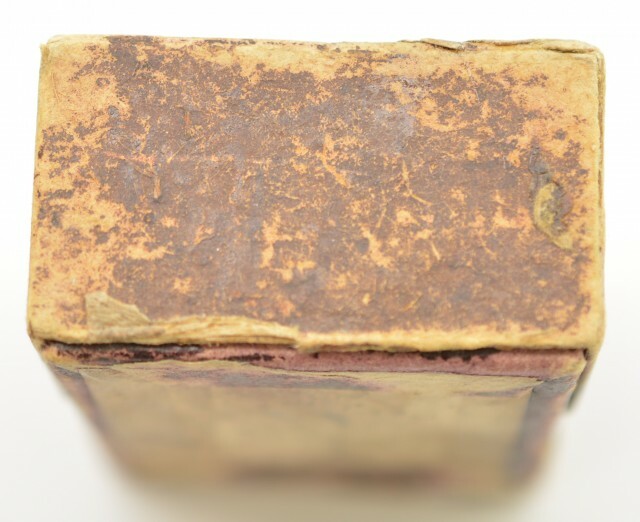 Label shows water damage, tape residue, soiling and a missing edge on lower right. 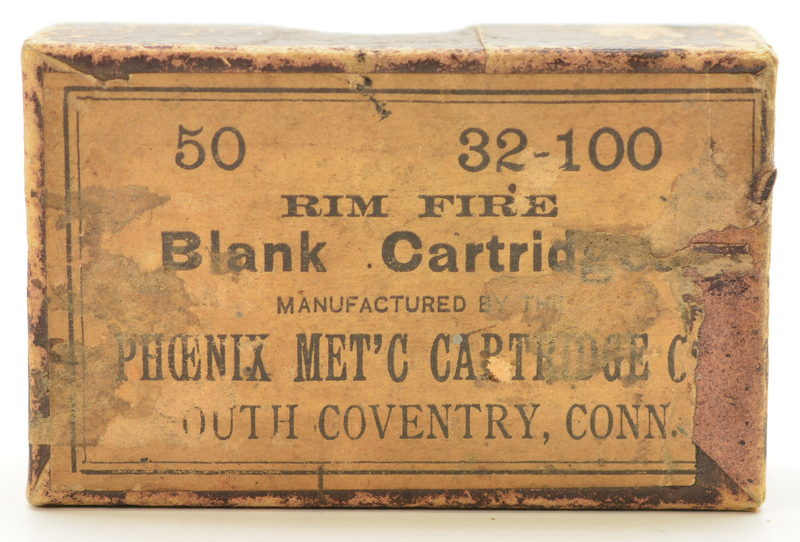 The raised P headstamp was introduced around 1878, Phoenix invented the paper sabot shot cartridge in 1879. 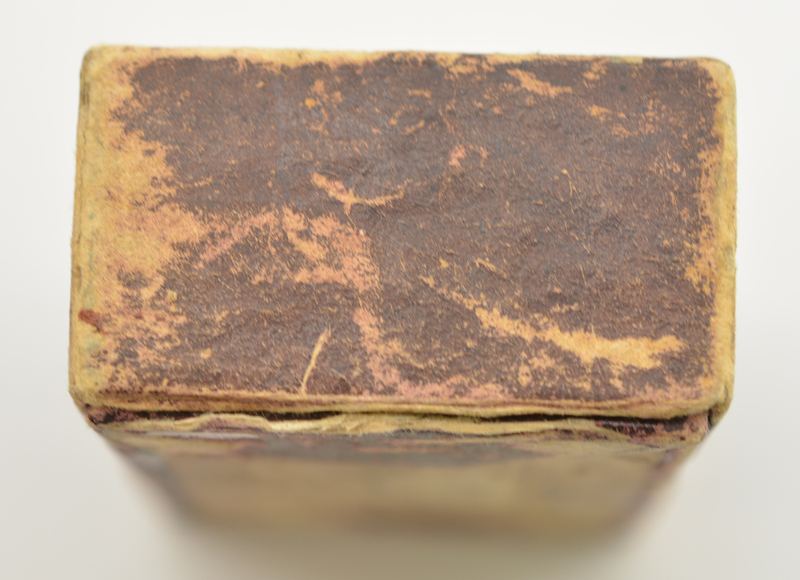 This box shows the headstamp with no sabot so should date from that period.